More photos from our San Diego vacation earlier this month. 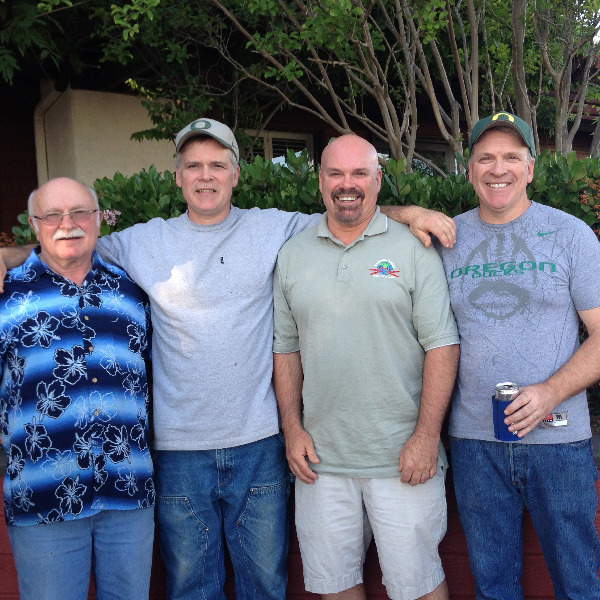 Joe with his brothers and their uncle. OMG! They had so much fun! Acting like teenagers, cracking jokes back and forth, plus plenty of golf made them very happy. Where we hang out when it wasn't raining...it never rains, right? Well, yes it rained. In the bridge of the USS Midway with Joe's bro and sister in law. If you've never toured the Midway it is so worth a visit. Amazing to see how the sailors lived and to go up into the bridge adjacent to flight deck first hand. Here we are all pasty white Oregonians squinting into the sun in La Jolla.